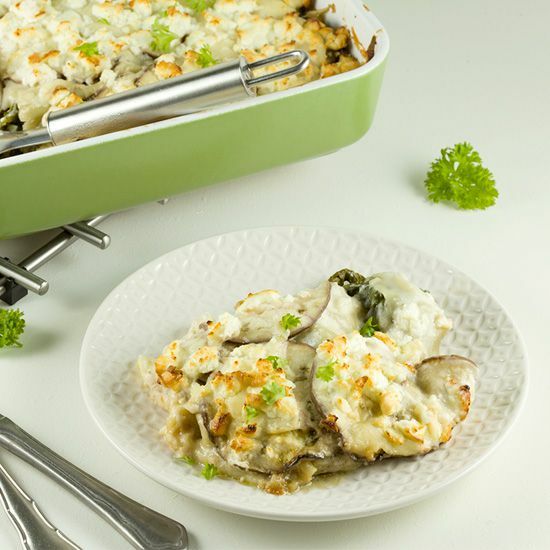 A vegetarian swiss chard and eggplant lasagna, also easy with an extra layer of minced meat for meatlovers. 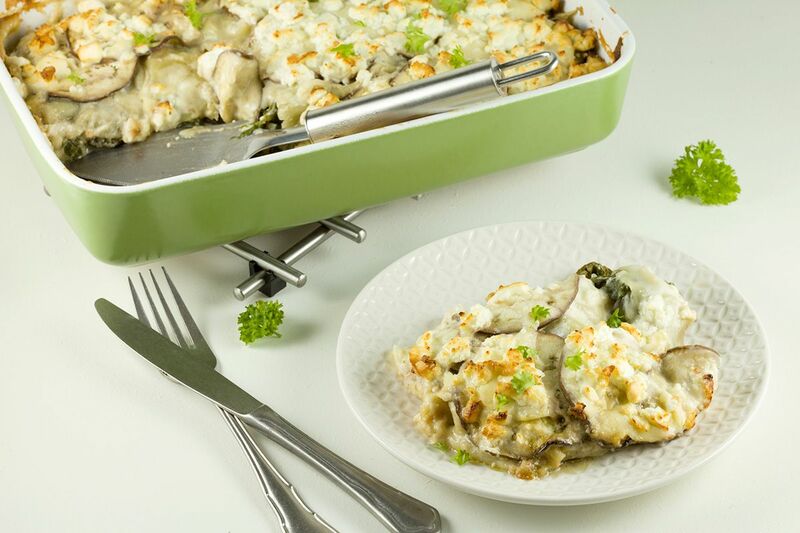 With a creamy bechamel sauce. RINSE the swiss chard very well and remove the hard stems. Use a salad spinner to get rid of any excess water. PEEL and finely chop te red onion and garlic cloves. HEAT butter or olive oil in a large skillet and sauté the onion and garlic for a few minutes. ADD the chard in batches, you’ll notice you can add the next batch very soon. SEASON with pepper and salt and drain them in a colander. 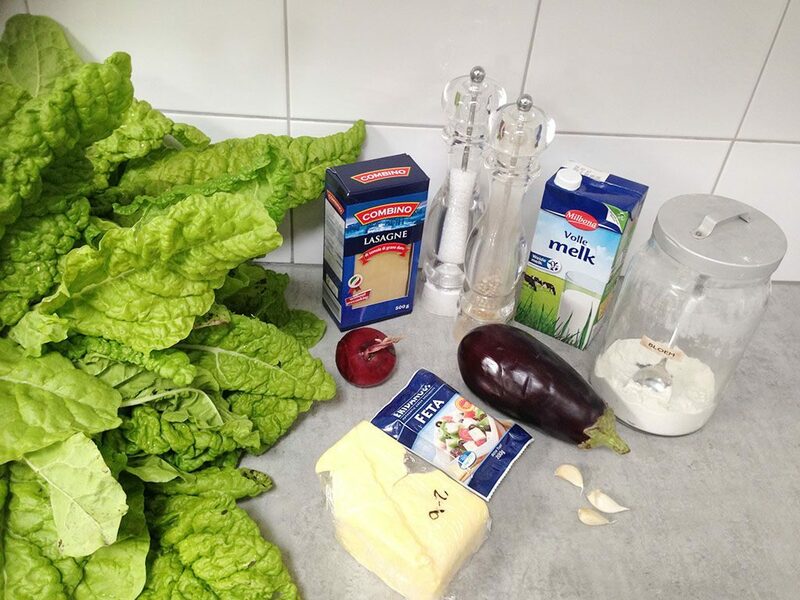 Meanwhile CREATE the bechamel sauce by using this recipe. If you want, you can skip the onion, cloves and bay leaf. SLICE the eggplant into thin slices, the easiest way is using a mandoline or kitchen cutting machine but you can also use a knife. PLACE the slices in a colander and ADD salt to the slices. This will give the eggplant more flavor. PAT the eggplant slices dry using paper kitchen towels, after about 15 minutes. 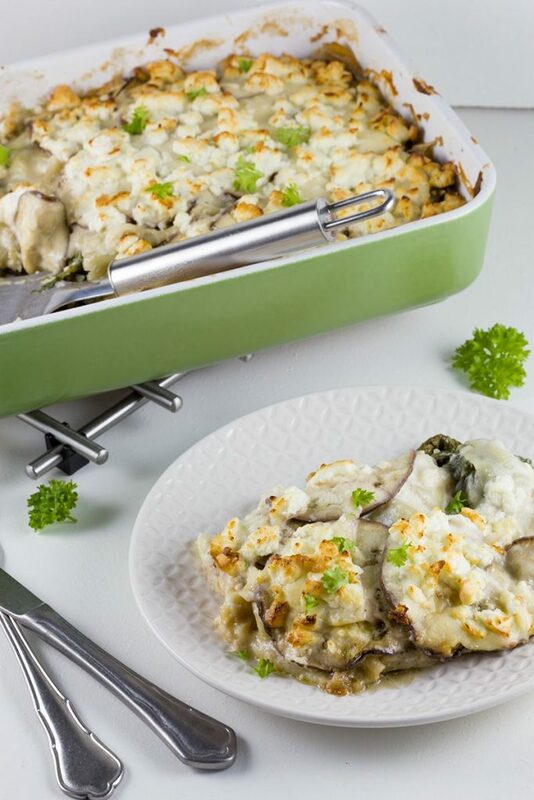 COAT the oven dish with butter and start with a layer of eggplant slices, then a layer of swiss chard, lasagna sheets and on top of that a layer of bechamel sauce. REPEAT and end with a later of feta pieces. BAKE the lasagna for about 45 minutes, depending on your oven. If the top starts to color when the eggplant isn’t done yet, you can cover the lasagna with tin foil. SERVE with a lovely salad and enjoy!